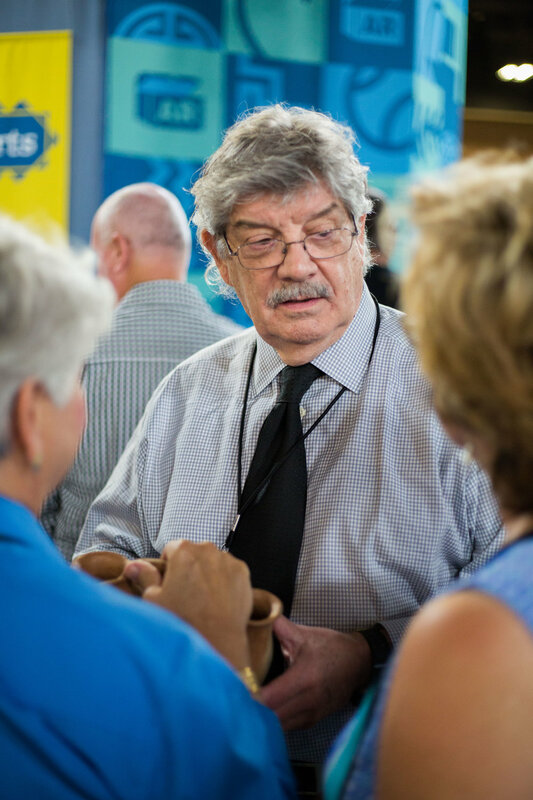 John Buxton is one of the core group of appraisers that has been with the show since 1996 working on the ethnographic table as a generalist appraising African, Pre-Columbian, Oceanic, and American Indian art. View past segments, browse our photo gallery, and learn about John's upcoming Antiques Roadshow stops! The British Antiques Roadshow first premiered in 1979. Seventeen years later In the summer of 1996 Antiques Roadshow began production in the United States by first visiting the Concord Armory in Concord Massachusetts with fewer than 1000 visitors attending. In 2016 Antiques Roadshow completed its 21st season having taped over 120 shows and visited over 75 cities in the United States and Canada. John Buxton is one of the core group of appraisers that has been with the show since 1996 working on the ethnographic table as a generalist appraising African, Pre-Columbian, Oceanic, and American Indian art. Bamana Female Figure, Harrisburg Pa.
For even more tribal art appraisal segments featuring John Buxton, head on over to PBS's Antiques Roadshow.